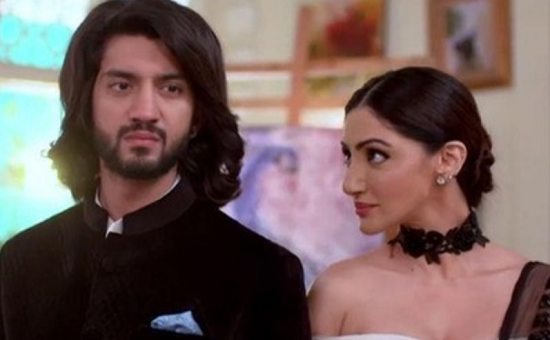 Dedicated to Swetlana Kapoor who wants me to write an OS including Swetlana.Thanks to Mansi for giving the idea to make Omkara and Swetlana siblings and thanks to Riana for giving the idea to make Swetlana a cupid in RiKara love story. I am Omkara Singh Oberoi.Today there is a Valentine’s day party.All are dressed in red and white.But I am dressed in black. My sister Swetlana scolded me:Bhai…What is this?Who will wear black for Valentine’s day party? I chuckled:My dear sissy..I will wear black.Because I want to be different from everyone and I want everyone to notice me. She ridiculed me:Yes…everyone will notice you for wearing black.They will think that you are crazy. As I expected everyone was looking at me.I enjoyed their attention.But i never thought that I will notice anyone.Yes,my eyes fell on a girl who was there at the party.Because she was also dressed in black like me. I thought:Wow…finally I met someone like me. Swetlana noticed me gazing at her. She asked me:Are you looking at the girl in black? I answered:Yes.Like me she is also dressed in black. Swetlana smirked:Because she is also crazy like you. Swetlana:She is my friend Gauri. I was surprised to know that she is Swetlana’s friend Gauri. Swetlana took me near Gauri and introduced me to her.Swetlana left leaving us alone. I looked at her smiling. I told her:Did you notice that we are the only people who are dressed in black? I asked her:Why did you wear black dress today? She answered:Just like you wear black,I also wore black. She said:Yes,sometimes I am cool.But now I am sad. I asked her:Why are you sad on this romantic occasion? Gauri:Swetlana brought me to Valentine’s party saying that I will find my soul mate here.But I did’nt find soulmate yet. I felt like laughing at her childishness.But I wondered why Swetlana brought Gauri to the Valentine’s party assuring her that she will meet her soulmate.I saw Swetlana winking at me with a smile. I was surprised to realize that purposefully my dear sister Swetlana brought Gauri to the party to make us meet each other. I got a message in my phone.Hearing the vibration I took the phone and read the message.It was sent by none other than Swetlana. “Bhai…how is Gauri?Did you like her?After knowing her I realized that there is no one who is better than Gauri for you.You both are alike.That’s why I arranged this meeting”. I smiled reading her message and looked at Swetlana who was standing far.We both smiled at each other.She realized from my facial expression that I am flattered by Gauri’s charm. I looked at Gauri deeply:You may have already met your soul mate.But you may not have recognized him. Gauri looked at me deeply.Slowly a smile appeared on her face.I don’t know whether she smiled understanding that I am the one for her.But I just loved her sweet smile. Swetlana was dancing with her lover Veer. I held Gauri’s hand and asked her:May I have the pleasure to dance with you? She nodded her head with a smile.I took her to the dance floor. We swayed to music romantically.It was a beautiful moment. Almost one year has passed.Gauri and I met frequently and we became friends too. The propose day arrived.I decided to propose Gauri. I was dressed in pure white.Like me Gauri came wearing a white attire. We are always same when it comes to colours.I was lost in her angelic beauty. She was looking like a fairy.I could not take my eyes off her. Gauri was amazed by the decorations I made. I said:But you are more beautiful Gauri.You look gorgeous now. I loved the way she was blushing. “I want to say something”,I said. She replied as if she longed to hear what I was going to tell her. “I want to know your reply”.I said. I held her hand and danced. Are you a fairy or the queen of fairies? Or, are you my love story? Give me the answer to my questions. touch your face just so? Why is the wind so fragrant after rushing by your body? The night is also intoxicated. Why are you covered up so? Why is my heart in such a mayhem? as though a bride and groom have come together. Why are both of us like this? Yes, why is there so much love between us? Mere savaalon ka jawaab do (MPK). We had a passionate embrace. I smelt her fragrant skin and leaned towards her pink cheek to peck her with my love. She closed her eyes passionately letting me come closer to her. But suddenly she moved backward shocking me. Her words were more shocking to me. Gauri:Stay away from me Omkara. I asked her:Gauri,are you in senses? Gauri:I was not in my senses for a few moments.I had forgotten myself for a few moments.But now I know what I am doing. I told her:I know very well that you love me. Gauri:But i did’nt tell you that I love you. I said:Without saying anything I could understand your feelings for me. Gauri’s eyes got welled up with tears. I asked her:Your eyes also tell the same.Then why are you suppressing your love Gauri? Gauri:Don’t ask me anything.I am going. I lost my temper for the first time before her:You can’t go without answering me Gauri. Her tear drops fell down. Gauri:I am diagnosed with a heart disease Omkara.My life may not last long.Then how can I accept you? I was shocked.I was shattered.I was scattered into pieces. My lips shivered:What did you say Gauri? Gauri:Yes Omkara.I am a heart patient. She wept:No Omkara.Knowing my condition I can’t put your life in distress. “No Gauri.You are not putting me in distress.Whether it’s moment of grief or not being with you is my happiness”. I said holding her hand. Gauri said shedding tears:Leave my hand Omkara. But she removed my hand off her and walked away. I cried pleading her not to go.But she just left.But i could hear her sobs. Swetlana who oversaw it hugged me to console me. “Bhai…don’t cry…I can’t bear it”. Swetlana:I can understand your point of view Gauri.You are going away from bhai to not make his future painful,But you understand one thing Gauri.Om bhai cannot live without you even for a moment.If you leave him,his heart will break and he will lose himself.If he loses his present how can he have a future?Instead of thinking of future you think of present.Life is more important in present”. Her words pricked Gauri’s heart and her tears flowed down. Valentine’s day reached.I am at a Valentine’s party now.I remembered meeting my Gauri for the first time in last year’s Valentine’s party.I could’nt control my tears.I wished to see Gauri in this Valentine’s party too.My wish got fulfilled when I saw Gauri coming. My happiness knew no bounds.I ran towards my Gauri.Our eyes spoke the language of silent love to each other. We don’t know how long we looked at each other’s emotional eyes. I said:Thank you so much for coming.I missed you. Her reply made me happy:I also missed you. I asked her:Then why don’t we end this distance and come closer? She was silent.But I knew that she too wanted it. I said:Don’t worry about your heart disease.No medicine is more powerful than love for a heart.I assure you that my love will cure your heart. I proposed her again:I love you Gauri.Will you be mine? She replied:Till now I did’nt reply to your proposal.But now I am confessing my feelings.Yes..I love you.And I want to be yours. I said:You don’t know how much happiness you gave me now”. She said:I am the most happiest person as I got a person who loves me so much that now I am devoid of the fear regarding my disease.I am sure that your love will make me healthy and I will live long. I caressed her face smiling. and removed her hair clip. She did’nt understand why I did so and looked at me clueless. I just smiled saying:You look more beautiful with open hair. We both came closer and got into a sweet romantic embrace. “I am sorry to disturb you guys.I did’nt want to disturb you.But I could’nt help it.I just want to hug you both”. She hugged us and said:You both are the best couple in this world.I am proud to say that I am the match maker of this beautiful couple. We hugged her back and thanked her. “Thank you so much Swetlana for making us meet.Because of you only we are together”. She smiled walking away after wishing us “All the best”. Gauri and I held onto each other hoping to spend more Valentine’s days together. 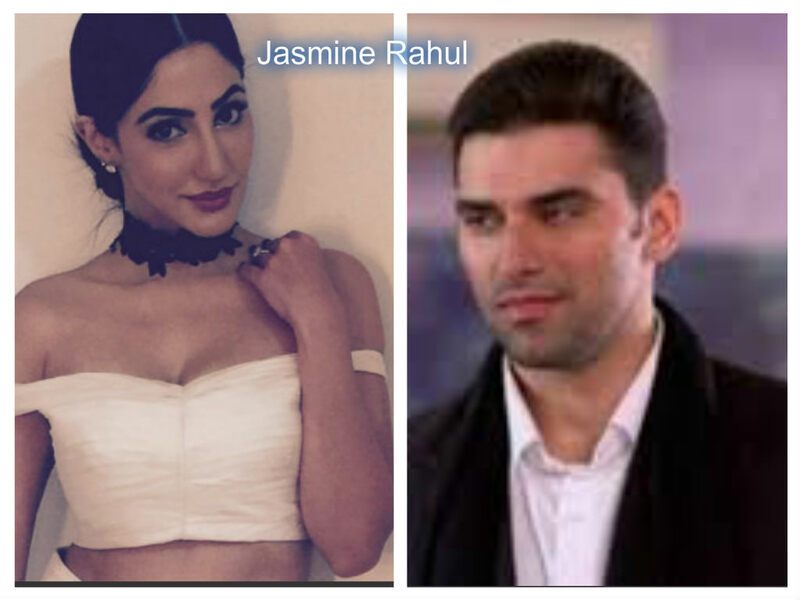 nice one happ valentines day..
glad that u made veer-svetlana a couple , i have always thought they would look great together . but in the show they are showed as distant brother-sister ? AWESOME CUTE EXCELLENT FANTASTIC GREAT MIND BLOWING PERFECT ROMANTIC SUPERB ??????????????? 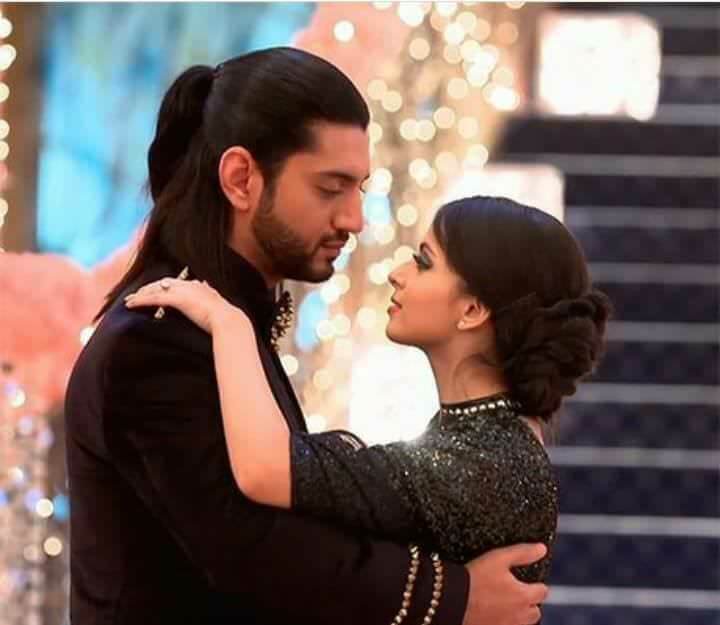 It”s not on you.U r not there in this OS.It’s Swetlana from IB.It’s about Rikara n Swetlana of IB.So it’s not possible to include Swetlana in every scene.She can’t appear in Rikara’s romantic scenes. 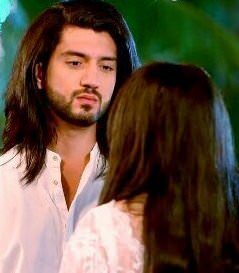 Yes u should not compare with any other writer.Bcz every writer is different.They can’t be compared with others.But anyways I don’t think my writing skill has improved with this OS.Omkara Swetlana are not a good match.Nobody likes this pair.Everyone prefers OMkara with Gauri.So sorry to say that I can’t write an os on Omkara Swetlana. Ok di so you finally got time to write a OS on me?But may I know why I am not included in every scene since it’s on me?Thanks to Mansi di for giving you the idea?? ?It was feeling nice nice?But still di you can’t compare with Manz di?From this your writing skills can be improved right di? ?So Om is my bro?But it’s ok as Manz di gave you that idea so she can’t be wrong?I know after much thought she would have?? ?But I didn’t liked the idea of R di?? ?My Om? ?So I want another OS where me and Om are the central characters??? ?Me with Veer?? ?By the way you can me Svetu?Love you XOXOXO???? ?Ok di now I have to go bye? ?